MASKerade: FFC38 - Merry Christmas! Time for a new Festive Friday Challenge! Here's the inspiration photo! For this card, I used my Stampin' Up tag punch with kraft cardstock. I added a Li'l Inkers snowflake (I cut this with Tracey's die when I met up with her a few weeks ago) that was stacked and embossed with iridescent ep. I used a Creatiate sentiment to complete my tag. For my card base, I tried to create a similar look to the black and white stripes from the photo, but less busy. I added 'smeared' Stickles to the edges of the white panel - this easy technique (ie put a thin line of Stickles down the edge of the cardstock and then pat/smear the Stickles with your finger), gives a pretty edge and subtle sparkle. Now it's your turn - there's so much in this photo I know that the cards will be amazing! The deadline is Wednesday August 27 at midnight. This is very classy Ardyth. Lovely. Beautiful take on the inspiration, Ardyth. 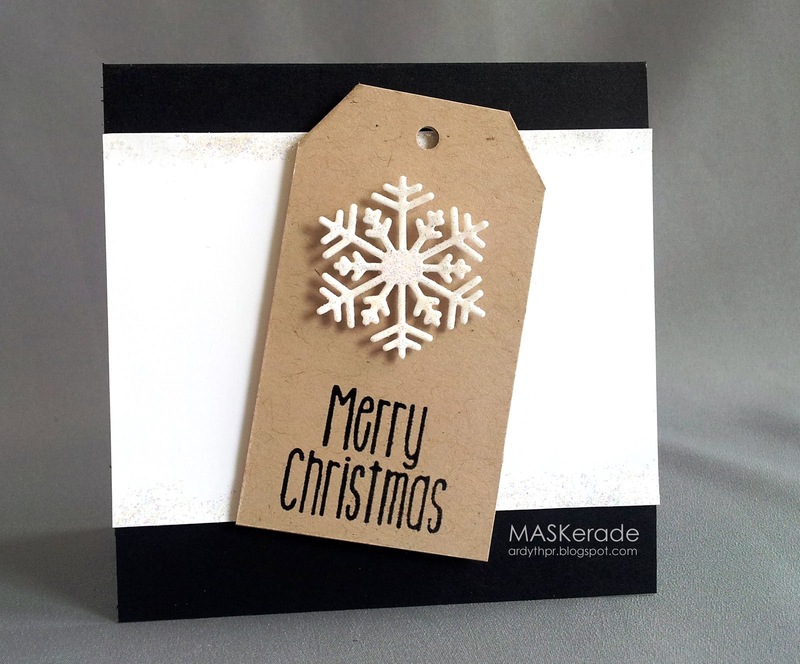 The tag and snowflake are a wonderful focal point against the black trimmed white background. This is festive in a subtle way - love it. Super clean & simple! Very CASEable, lunch was so fun yesterday! Oh my stunning is the word:) the snowflake looks awesome over kraft ! 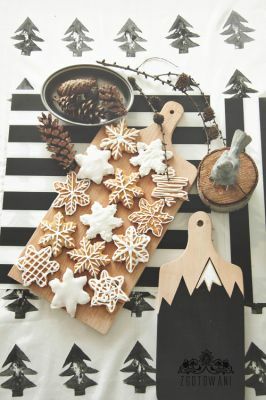 Love your inspired design with the kraft tag and pretty snowflake!